In this itinerary, from “S. 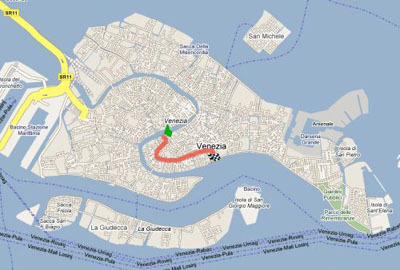 Angelo” to “Vallaresso”, you’ll visit the area West to S. Marco, i.e. Campo and Church of Santo Stefano, Campo San Samuele, where Giacomo Casanova was born and lived as a teenager and after a curious look at calli and suggestive courts, you’ll get to the Fenice Theatre. The route ends up at the Harry’s Bar, Ernest Hemingway’s favourite place.